When you are handling the tool, you shouldn’t be afraid of it. Rather, it is all about learning how you should handle it and how to cut the trees or wooden blocks with it. If you are afraid of the tool, you might end up injuring yourself. It is all about learning how to handle the tool and the amount of pressure to apply to it. When you are working small trees, or when cutting down tall and thick trees, the pressure you apply is different. That is why you are advised to handle the power saw accordingly. Check with the landowner to confirm the trees that can be cut down and the stump height that is needed. In case you are planning to cut on private property, you will want to check the local regulations that link to the cutting down of trees. Read the instruction on the manual. The manual will come with the instructions, and it will describe how you can mount the chain and the guide bar. 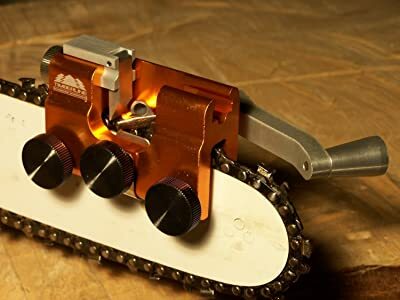 You will also learn how to mix the fuel and oil your saw. It will also show you how to start the chainsaw. In most cases, the chainsaw will be designed to be operated with the right index finger. For the left-handed users, they can find it challenging when they want to control the throttle. 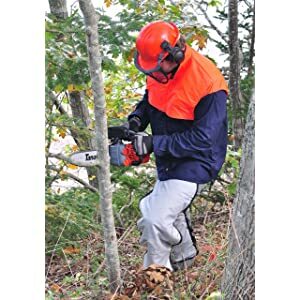 Some chainsaws come with a perfect hand guard that will operate the chain brake, along with a safety feature. The safety feature will stop the chain abruptly, in case the running mechanism has been tripped. You should learn how to stop the chain impulsively, without finding the switch. A good way to ensure this is to ask a dealer for descriptions on how to stop the chainsaw abruptly.The electric powered chainsaw is not commonly used in the big wood blocks. Mostly, they will be used around the home when they help to limb, buck, prune and fell trees. The Protective Gear : Before you start using the power saw, you must ensure that you are loaded with the right gear. You must have a hard hat or chainsaw chaps, along with goggles. The goggles will protect the eyes from the flying chips and splinters. Since it is going to be extra noisy, you will need to have ear protectors to protect your eardrums from the loud noise. You should also have high-quality leather gloves, timber chips, along with hard-toe shoes. When you want to use the chainsaw, you must avoid wearing baggy clothing or slippery shoes. Such gears will cause you to fall, or the clothes can be caught in the brush. While in the woods, watch where you step. Refueling the chainsaw: If you have the chainsaw that runs on gasoline, you should take the right precautions. You will need to stop the engine before you refuel it. You should also avoid smoking when you are refueling the equipment. Ensure that you fill the gas gently to avoid spilling it on a hot engine. The best way to handle it is to use a funnel that will filter the gas in the equipment. For more safety, start the chainsaw on a different location from where you refueled it. Carrying the chainsaw: Unless you are extra careful, you can get injured when you are carrying around your chainsaw. The first thing you should do is to shut it off whenever you want to carry it. You can point the bar to the front if you are coming down a hill. When on a flat surface, you should carry it when the guide bar is pointing at the back. 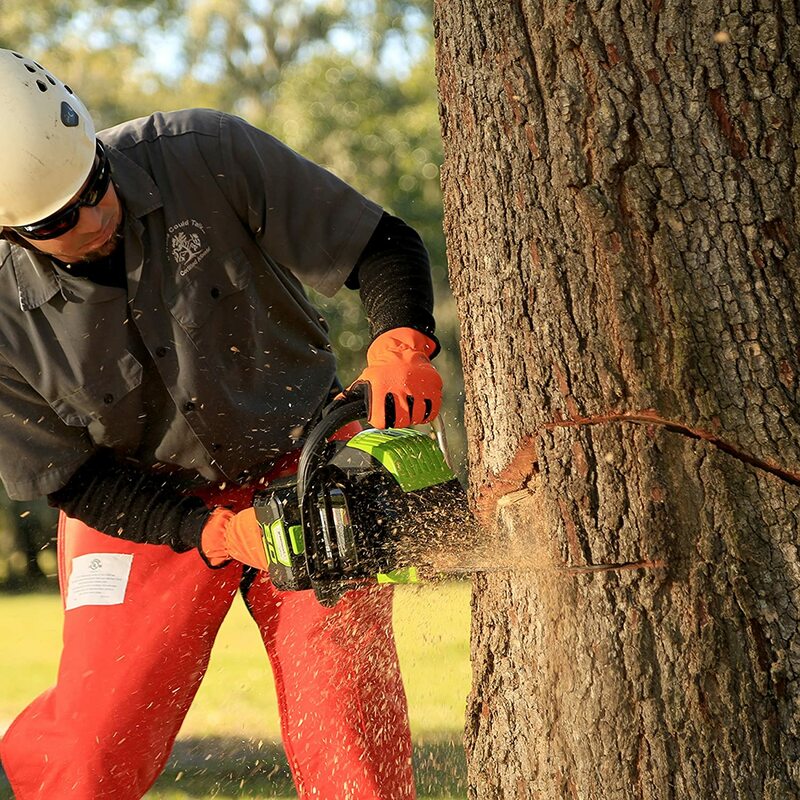 Being safe with the chainsaw is all about learning how to handle it with care. You can learn most of the safety precautions from the dealer that sells you the chainsaw and read user manual. Whenever an injury or accident occurs, cover the area to stop the bleeding and call the nearest emergency services. I like how you said, “Being safe with the chainsaw is all about learning how to handle it with care.” I can definitely agree with that. We have some trees that we would like to get rid of in our yard and I was wondering if I should get a chainsaw to take care of it. I appreciate the safety tips you offered. Thanks for sharing!